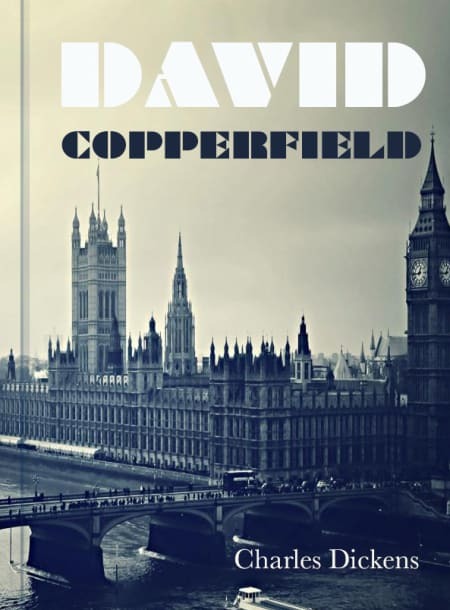 Now a grown man, David Copperfield tells the story of his youth. As a young boy, he lives happily with his mother and his nurse, Peggotty. His father died before he was born. During David’s early childhood, his mother marries the violent Mr. Murdstone, who brings his strict sister, Miss Murdstone, into the house. The Murdstones treat David cruelly, and David bites Mr. Murdstone’s hand during one beating. The Murdstones send David away to school. Peggotty takes David to visit her family in Yarmouth, where David meets Peggotty’s brother, Mr. Peggotty, and his two adopted children, Ham and Little Em’ly. Mr. Peggotty’s family lives in a boat turned upside down—a space they share with Mrs. Gummidge, the widowed wife of Mr. Peggotty’s brother. After this visit, David attends school at Salem House, which is run by a man named Mr. Creakle. David befriends and idolizes an egotistical young man named James Steerforth. David also befriends Tommy Traddles, an unfortunate, fat young boy who is beaten more than the others.